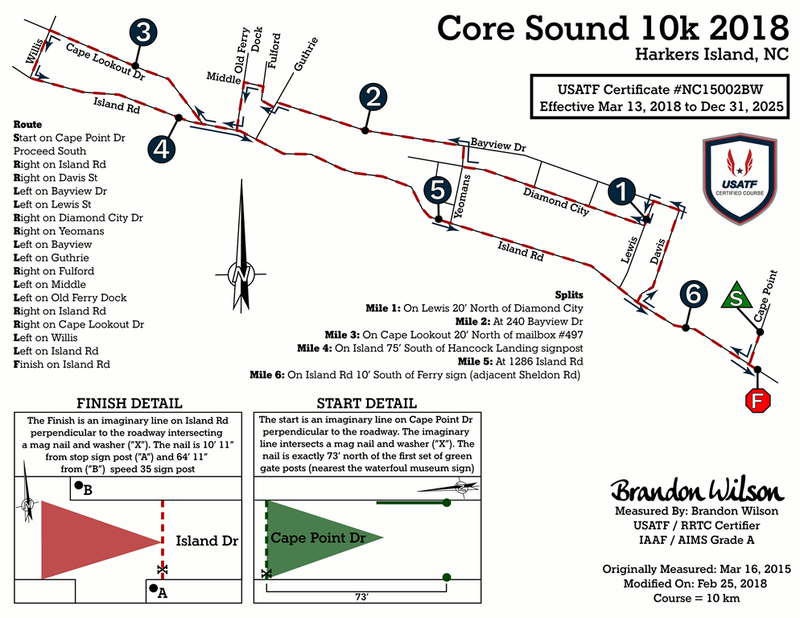 CoreSoundRun – A family-friendly 10K, 5K and Fun Run on Harkers Island. 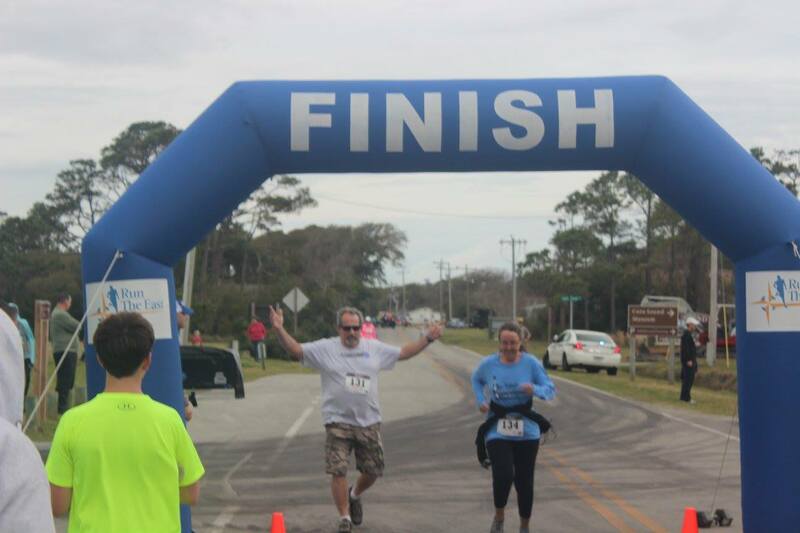 A family-friendly 10K, 5K and Fun Run on one of North Carolina’s most beautiful islands — Harkers Island. The Core Sound Run begins and ends “at the end of the road” – at the edge of Core Sound. 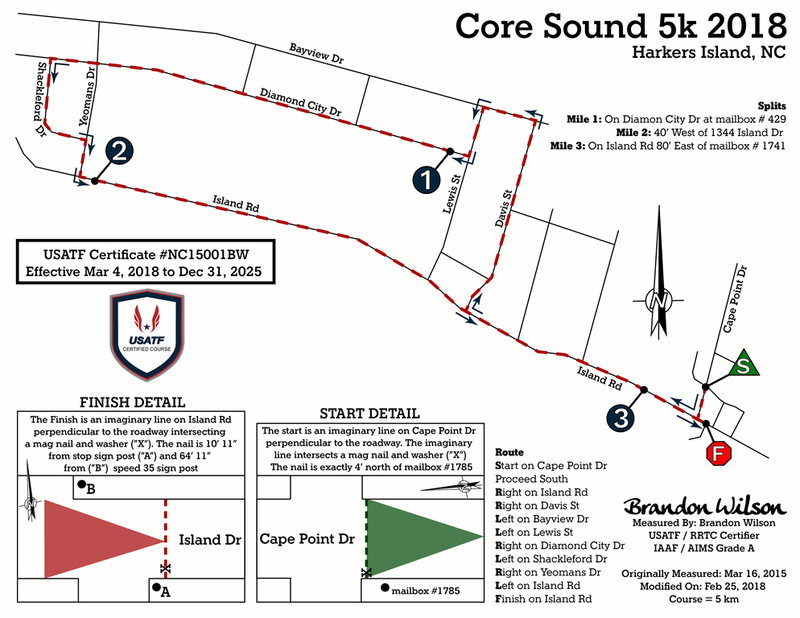 Early packet pickup will be available from 10am-5pm on Friday, April 5 at the Core Sound Museum Store at 806 Arendell St., Morehead City, NC. 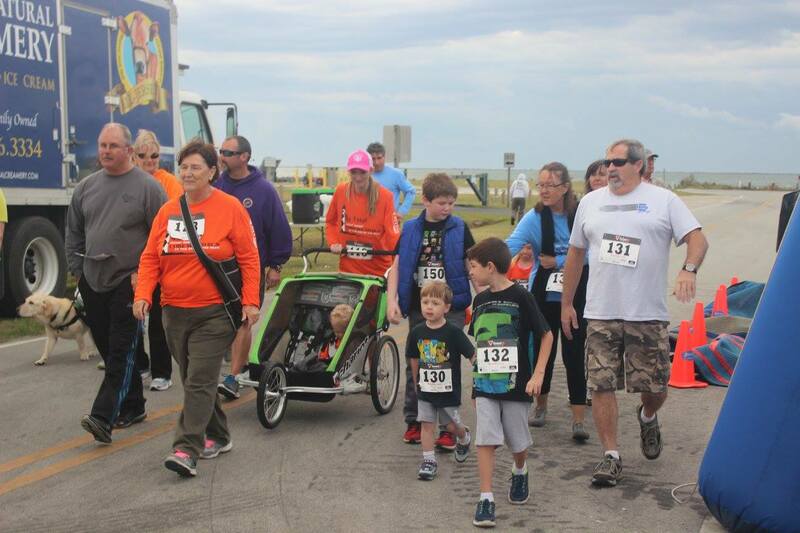 Want to run the race for free? Then, check out our referral rewards program. Here’s how it works: When you sign up, you’ll receive an unique referral link. Just share that with your friends.. When 3 of them have signed up using your code, you will automatically receive a $15 refund. Then, for each additional 3 people who sign up using your link, you’ll receive another $15 back (up to the amount of your registration, $30 maximum). 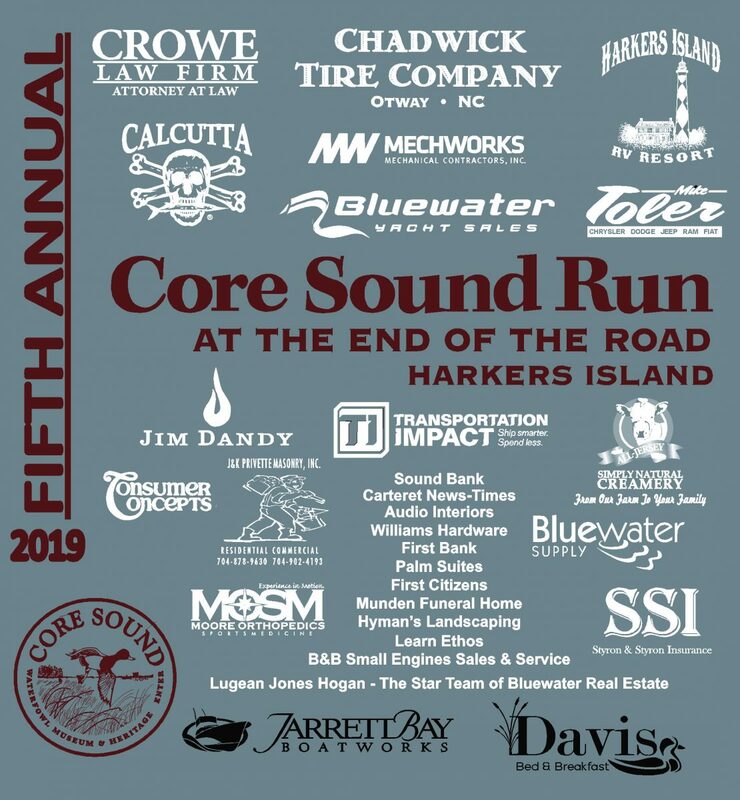 Finish line video from the Core Sound Run, April 6, 2019, in Harkers Island, NC. 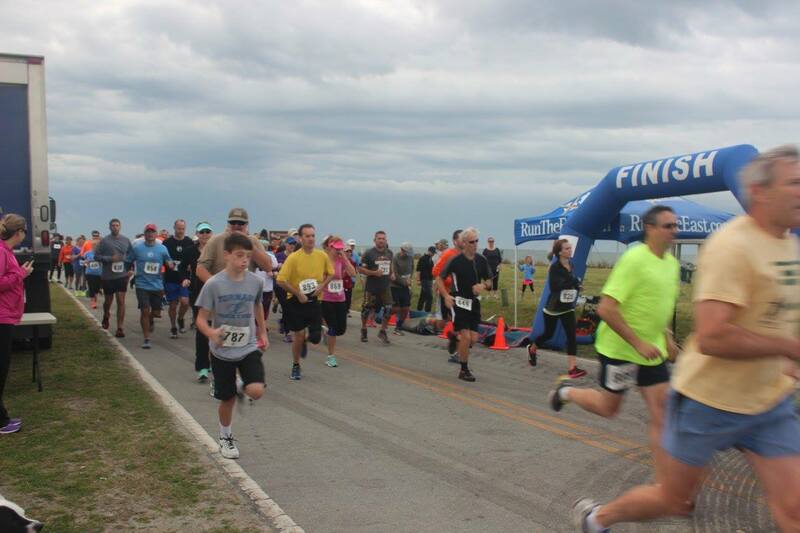 Results and video by Run the East LLC. If you have any questions about this race. To become a sponsor, please contact us for further details.